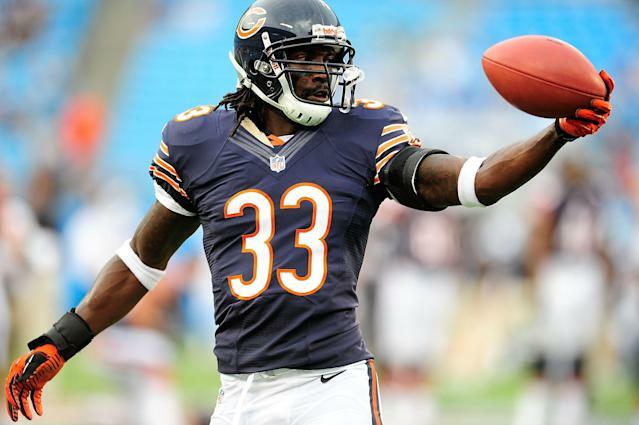 Former Chicago Bears cornerback Charles Tillman is doing a difficult thing for a great cause. The 38-year-old Tillman is planning to build a boat and row it across Lake Michigan to raise money for pediatric cancer. As the Chicago Tribune lays out, there are a few complications with Tillman’s plan. But Tillman is doing it because he knows it will benefit a good cause, and because he believes it is important to face his fears. Tillman won’t be making the trek by himself. He’s teaming up with a tech executive named Jacob Beckley, who has rowed across Lake Michigan before but vowed to never do it again. Tillman had to convince Beckley to go through the whole ordeal a second time. While Tillman made plenty of money during his 13-year career in the NFL, the duo has a good reason for not purchasing their own boat, according to the Tribune. Tillman was also inspired to take on the task by his daughter Tiana. As a baby, Tiana needed a heart transplant. Tillman explained he had so many people help him during that time, and that rowing across Lake Michigan would be his way of giving back. Since leaving the NFL following the 2015 season, Tillman has kept busy. When he’s not doing charity work or building his boat, Tillman is working with the FBI. No, really. Compared to that, rowing across Lake Michigan should be a breeze.